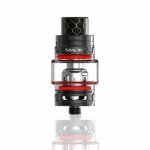 The SMOK TFV12 Baby Prince Sub-Ohm Tank enters the market as Smok's culmination of industry leading design, taking element from the innovative TFV8 Baby Beast Tank and the popular TFV12 Prince Tank. 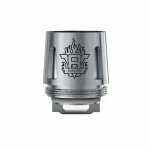 The TFV12 Baby Prince features a large 4.5ml max juice capacity and utilizes the innovative hinged top fill Smok is known for. 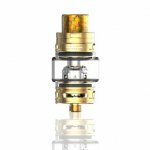 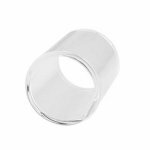 The hinged top fill now has the addition of a patented locking mechanism effectively stopping leaking and accidental opening of top cap. 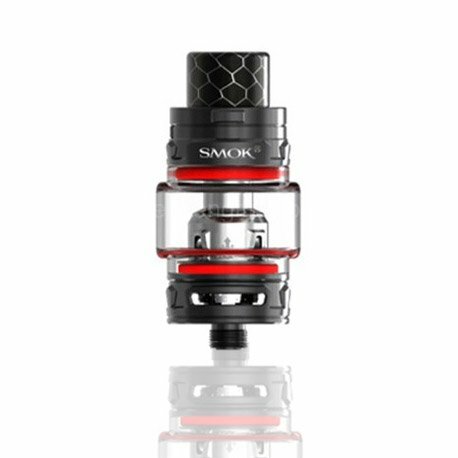 The Smok TFV12 Baby Prince Tank utilizes the newly design coil family that produce dense clouds with premier flavor potential. 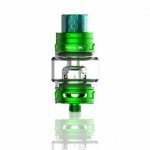 The new TFV12 Baby Prince Coil family consists of newly design coils including, Mesh coils, Light up Colored coils and standard V8Baby-T12 and V8Baby-Q4. 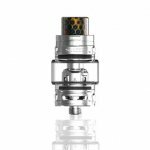 The new Mmesh coils can produce denser clouds and purer flavor at the same wattage, which is an awesome improvement. 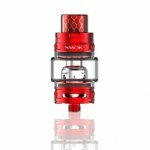 The light up coil will emit beautiful light when you are vaping and the mesh coil has larger heating area to speed heating process. Every detail of TFV12 Baby Prince is the best guarantee for high-quality vaping through innovation.